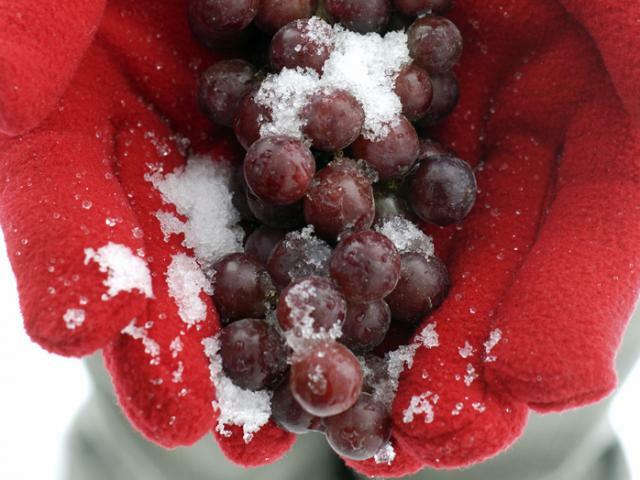 Born of Ohio’s cold winters, Buckeye State ice wine is hot with critics. Certainly not the judges in the world’s largest American wine competition. For two straight years now, ice wines from northeast Ohio’s Grand River Valley wine region have won the top award for dessert wine in the international San Francisco Chronicle Wine Competition. Steiner conducts research that helps Ohio winemakers succeed, and not just with specialty ice wine but with big varietals like Riesling, Pinot Gris and Cabernet Franc. So does Imed Dami, who heads OARDC’s program in viticulture, the science of growing grapes. Together, they deliver the only long-term, university-backed research program serving Ohio’s grape and wine industry. Ohio’s grape and wine industry has a $786 million annual economic impact, a figure that has grown by a third in just the past six years. The industry created 1,200 new jobs during that growth and now supports more than 5,000 full-time jobs. A bit rare and expensive, made by only a handful of Ohio’s 200-plus wineries, ice wine excels for its sweetness and flavor. To contact the scientists: Todd Steiner at steiner.4@osu.edu; Imed Dami at dami.1@osu.edu.